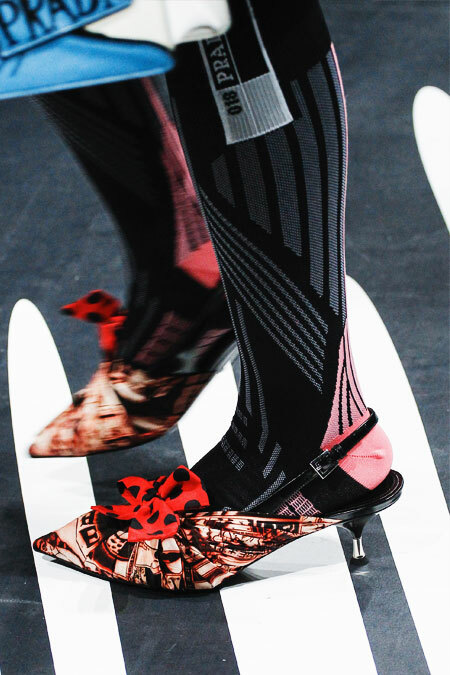 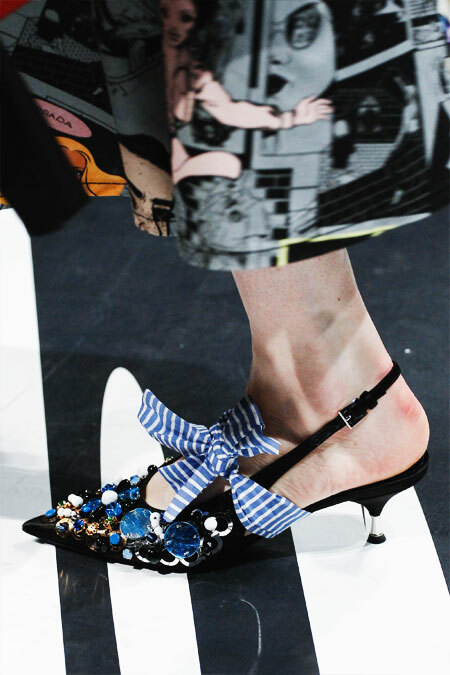 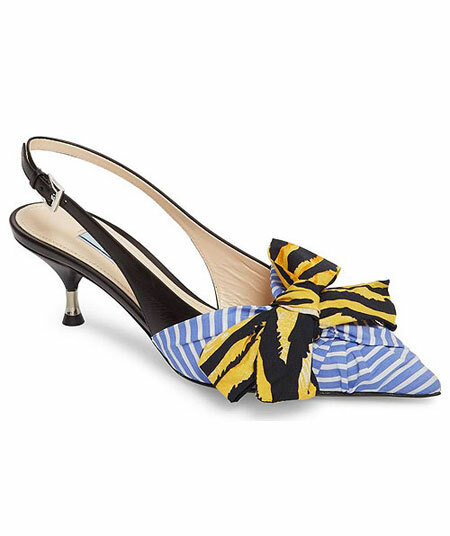 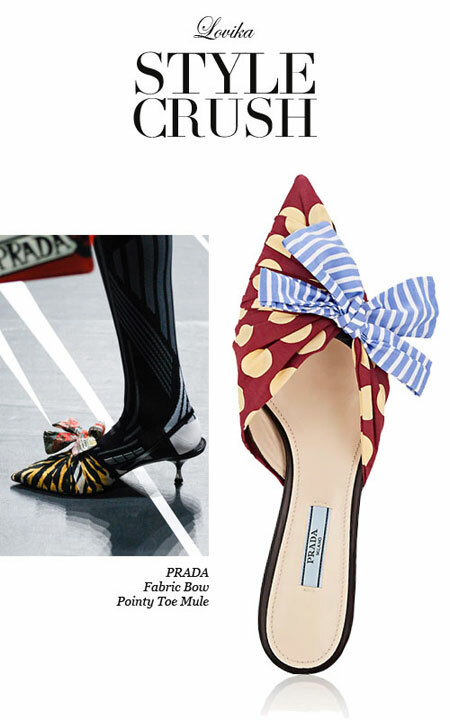 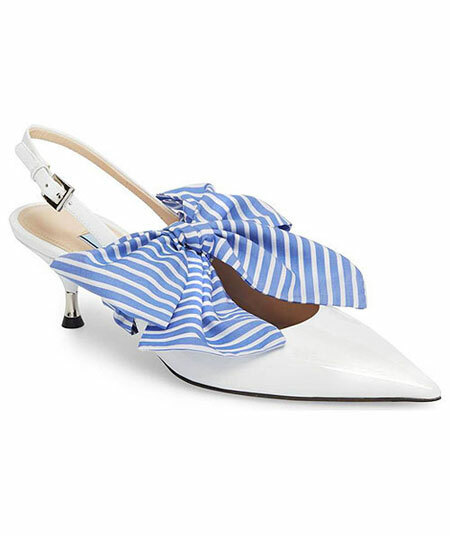 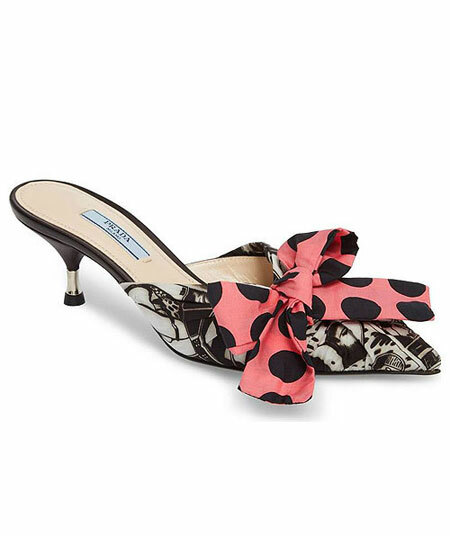 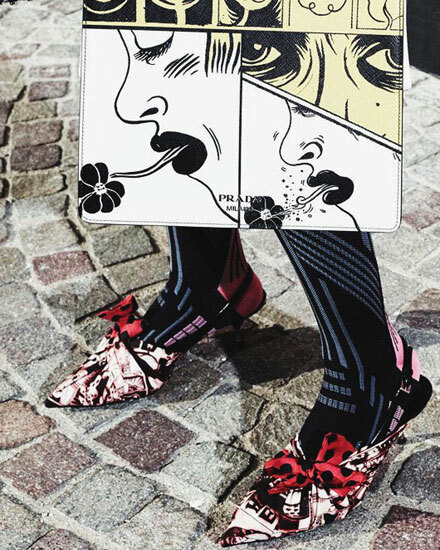 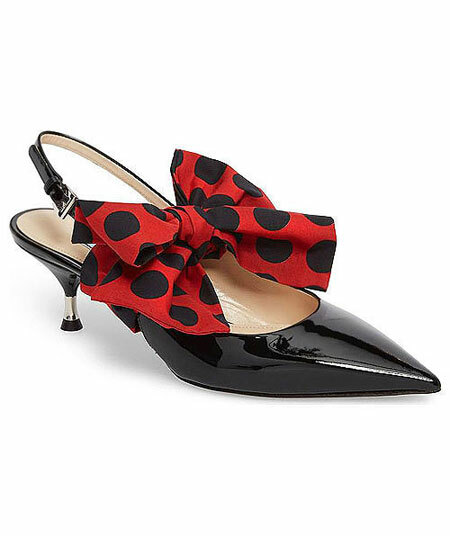 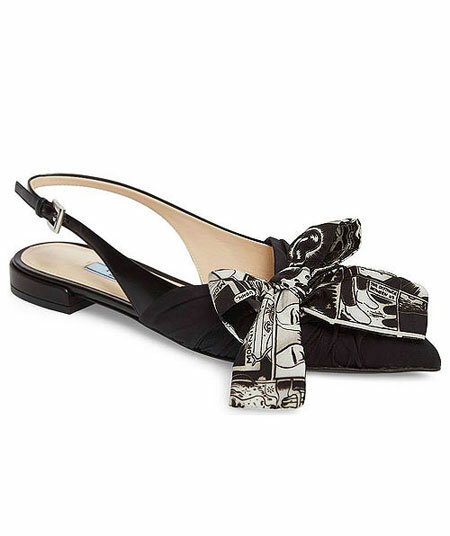 Feminine yet rebellious – Featured on the Spring-Summer 2018 runway, Prada showcases a series of new pumps, kitten heel slingbacks, and slip-on mules all with oversized color-contrasting bows designed to get your attention. 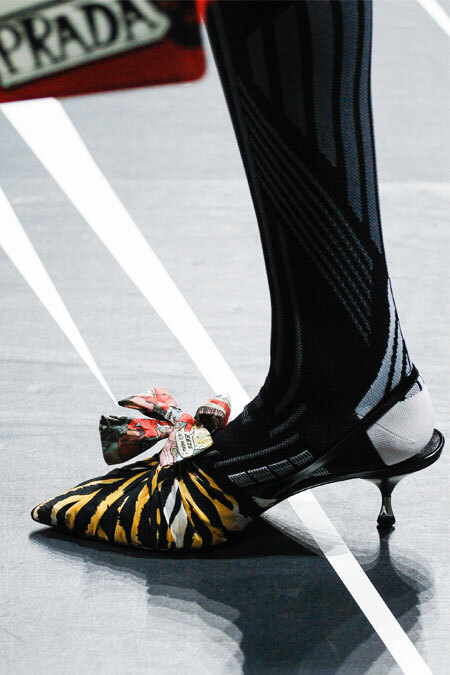 Inspired by the current women’s movement, these shoes are the representation of world-changing women. 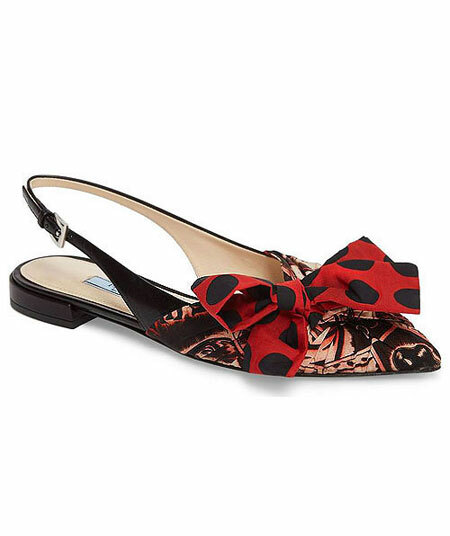 It’s hard not to notice the clash of daring colors, patterns, and prints, but each shoe somehow shows a perfect balance in the most unexpected way. 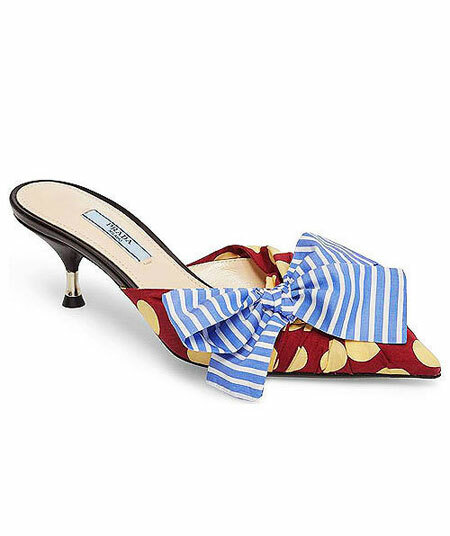 These Mules Are to Die For!